'Woodside', the James Abercrombie Burden estate designed by Delano & Aldrich c. 1916 in Muttontown. Click HERE and HERE for more on 'Woodside' and HERE to see a brochure from when the estate was for sale. Photo from the Aiglon Archive. What is the current state of the property; reading that it had been sold for $19-million back in 2010 ? A last-ditch effort is underway to try to prevent demolition of a majestic Gold Coast mansion that a future pope once made his headquarters during a monthlong U.S. tour. With a sale nearing completion, a coalition of civic and preservation groups is trying to gain official historic status for the St. Ignatius Retreat House in North Hills -- also known as Inisfada, or "long island" in Gaelic. The coalition is also lobbying the local mayor through petitions, emails and phone calls to pledge that he won't sign any demolition orders. But North Hills Mayor Marvin Natiss said he will let the buyer and seller do with the property whatever the law permits -- including knocking it down. "I will not interfere with whatever the Jesuit order" that owns the mansion "wants to do," he said. Natiss said "the only historical significance" the building has "from the church's point of view" was the inside chapel that is being moved from the property to Fordham University. Minus the chapel, he said: "I don't know if it [the building] has any historical significance." 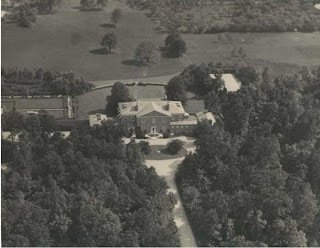 Richard Bentley, president of the Council of Greater Manhasset Civic Associations, which is leading the effort to save the mansion, responded that Inisfada "is a jewel that is right in the backyard of Manhasset. To allow a historic gem in our midst to be lost -- that's what their village will become known for." The groups are applying to the state Department of Parks, Recreation and Historic Preservation to have Inisfada placed on state and national registers of historic places. That would not legally prevent demolition, but it would put pressure on local politicians to preserve the house, Bentley said. The 87-room "Great Gatsby"-era mansion, which Jesuit priests ran as a retreat house for a half-century, was put on the market last year for $49 million. The order said in June that it expected to close on the property in late July. The Rev. Vincent Cooke, who is handling the sale for the Jesuits, declined to comment this week. Natiss said he met with the buyers recently, but he would not identify them. He said they plan an upscale development of single-family homes on the 33-acre property. He said the developers have not decided whether to demolish Inisfada. Bentley accused the mayor of being interested mainly in generating tax revenue from the planned housing project. "He's looking at the dollar signs and counting his silver coins," he said. The 72,000-foot Tudor-Elizabeth house was completed in 1920 by industrialist Nicholas Brady and his wife, Genevieve, who were leading Catholic philanthropists. Cardinal Eugenio Pacelli, who later became Pope Pius XII, stayed there in 1936. The next year, Mrs. Brady, a widow by then, donated the house to the Jesuits. > Dr. Eli Weinstein, who is overseeing the proposed acquisition for Synergy First International, said the company made a $36 million cash offer for the property on the condition that the Jesuit order restore parts of the chapel it had deconstructed since the house closed June 2. "Minus the chapel, he said: "I don't know if it [the building] has any historical significance." Since the 70's, North Hills has been determined to erase all reminders of its historic fabric and landscape. The destruction of Inisfada will complete their myopic mission. Well if anyone wonders why this sort of thing is still possible... thank the likes of Mayor Natiss... who sounds about as intelligent as a box of hair. If a building as architecturally significant as Inisfada can be destroyed so recklessly without any regard or acknowledgement as to it's role in Long Island's history or its physical value to the community, then Long Island's preservation movement is indeed on life support. To only see a housing subdivision and tax revenue and not appreciate the uniqueness of such a beautiful building nor the economic value of re-purposing the structure and celebrating the magnificent craftsmanshsip contained within its walls, leaves one totally dumbfounded. The village of North Hills will unfortunately have the final say in the matter, whether it is landmarked or not and judging from past actions and the mayor's ridiculously clueless comment, the outcome does not look promising. 1. It is a given, that for a property with acreage on Long Island, the likely fate is development. Every inch around Inisfada's land is already gone. 2. Most developers are unimaginative. So are most real estate buyers. They want a big house full of comforts on a nice square lot with a concrete paver driveway and a square of lawn with 'landscaping'. Hence that's what developers give them, anything else be damned. 3. It is all good and well for the populace to rise up at the 11th hour and say 'This must not happen', but it helps if they actually have a constructive alternative plan, not just an angry stance with nothing to back it up. It would have been far more constructive to try to come up with a plan to purchase the property for public good/much needed open space BEFORE development became an issue. Or they could have been actively searching for a buyer who would develop the property creatively. 4. There are economic realities. Almost all the great estates already open to the public are struggling financially---they all require cartloads of money to be properly maintained, in an area where the species is already mostly extinct. Agree with one thing...you should be stoned in a public square (although I'd use a pebble in deference to some of your previous postings). There were many investors who wanted to save this. Issue is, once again, the archaic zoning and planning codes on the north shore. This property, 30 minutes from Manhattan, 5 minutes from the Miracle Mile and located in a good school district, would have been in easy sell as multiple residences in the main building and conservation development. Others wanted hotel,spa,banquet venue with serviced residences. Yes, it is not our best house, but it is good enough, large enough and superbly located for adaptive reuse. If it is demolished it will be a completely avoidable tragedy not an unfortunate case of economic non-viability. I completely gave up on North Hills , probably 30-35 years ago. North Hills has been one of the biggest culprit's in the desecration of the North Shore. NSP, Thanks for merely pebbling, rather than stoning, me. I do want to point out that we actually agree---I totally think the house should be saved, and I believe I mentioned land conservation. It is incomprehensible that North Hills isn't actively seeking to preserve more open space---especially this one, adjoining another public property as it does. Division to condominiums, with some cluster development would seem the highest use, but with a mayor like that, it seems unlikely to happen. Woodside reopened as a golf club but the important commentary should be on an Inisfada post as nobody will be able to locate the useful links provided. Thanks guys for the news and information. NSP thanks for mentioning that this is not a last minute knee jerk reaction to save Inisfada. While the village of North Hills zoning and town board was been a major culprit to any adaptive reuse, the Jesuit Church themselves have hurt the economic viabilty of the property. Church infighting over the years and from other religious properties owned by the order, prevented Insifada from using the chapel and mansion for the lucrative wedding and banquet business because it would directly take business away from other church facilites. The phrase shooting oneself in the foot never was more appropriate than here. Not for a lack of effort but Church leaders also avoided all offers to assist in finding a preservation minded buyer or entertain alternate uses for the property. Long Islands wealthier communities have been very slow to adapt any forward thinking zoning changes, preferring single family houses on cul-de-sacs over cluster developments and creative planning.